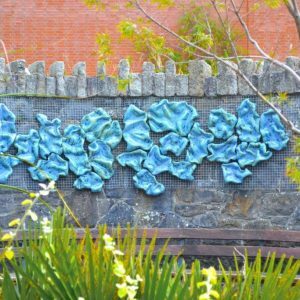 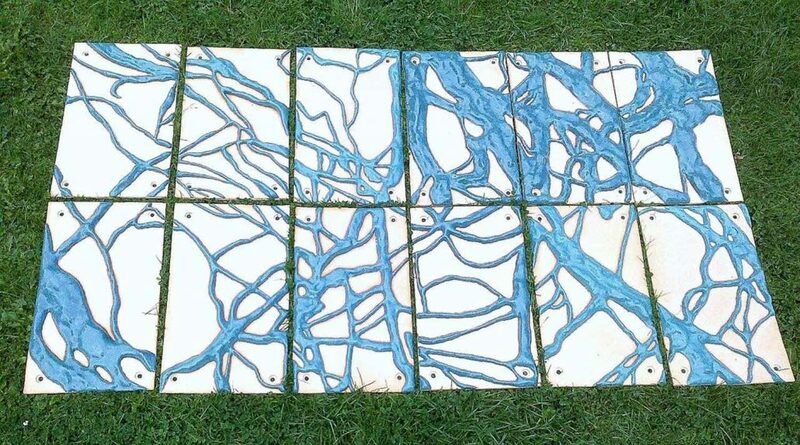 Vulnerability is a hand-built and modelled outdoor ceramic wall sculpture. It was originally exhibited at Sculpture in Context 2013, at The National Botanic Gardens, Dublin. 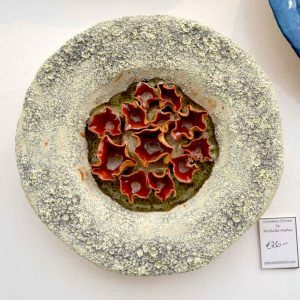 Vulnerability was also exhibited at Art in Action 2014 at Farmeligh House, Dublin, as well as at Vanishing Art 2014 at Carton House, Maynooth, Co. Kildare. 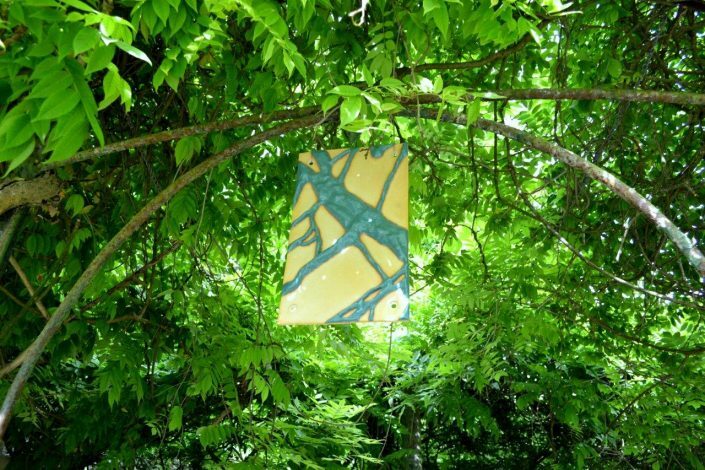 The inspiration for Vulnerability comes from an on-going obsession I have with trees. 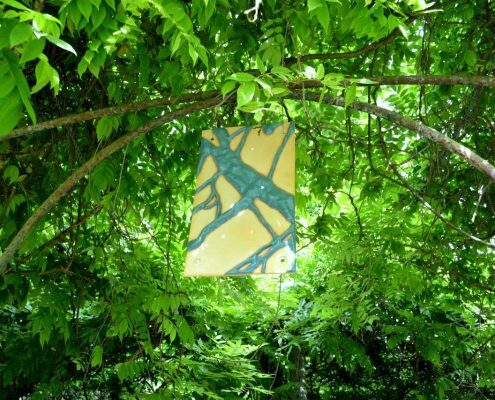 Not just any tree. 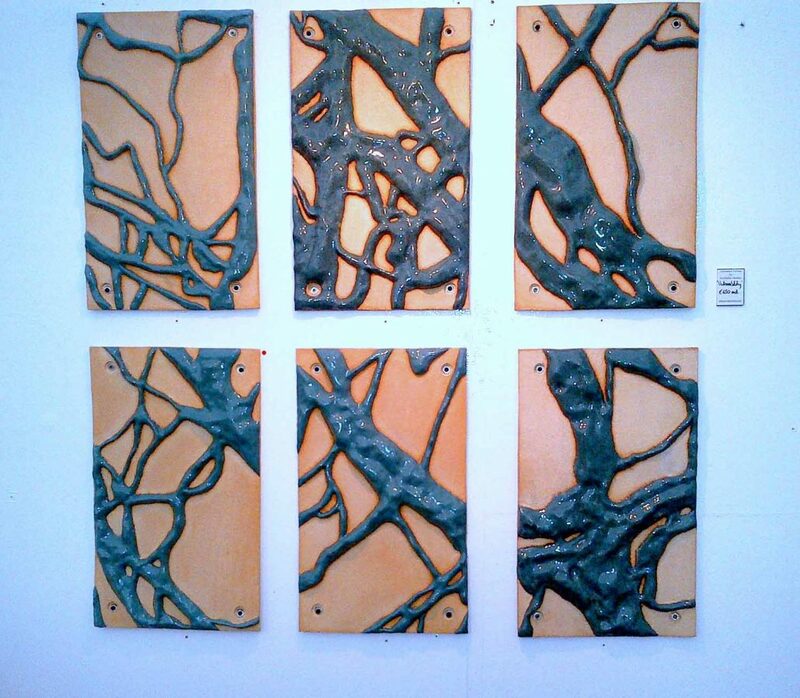 Trees in winter. 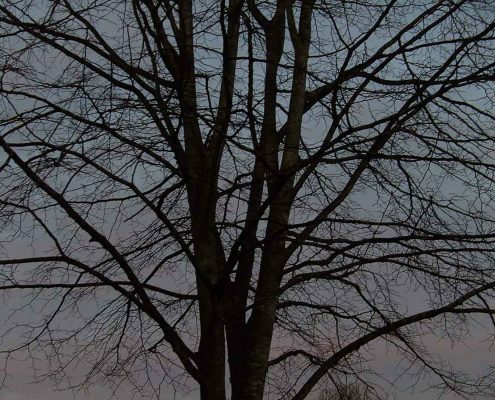 “Dark trees” that are as Thomas Kinsella said “hacked clean for better bearing (they) stand defaced…suffering their brute necessities”. 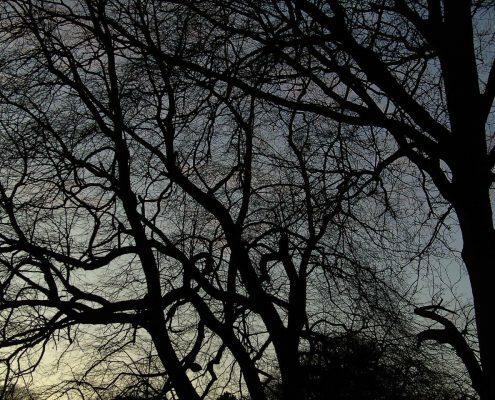 I am always struck by the intense vulnerability of a leafless tree, they are literally naked, exposed to everything nature and man can throw at them and yet they are strong, they are beautiful – they are survivors. 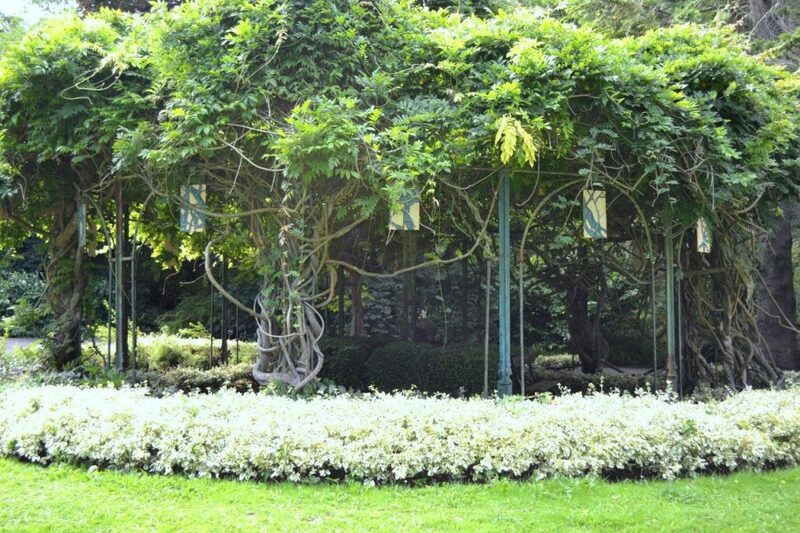 For the most part they will outlive us all. 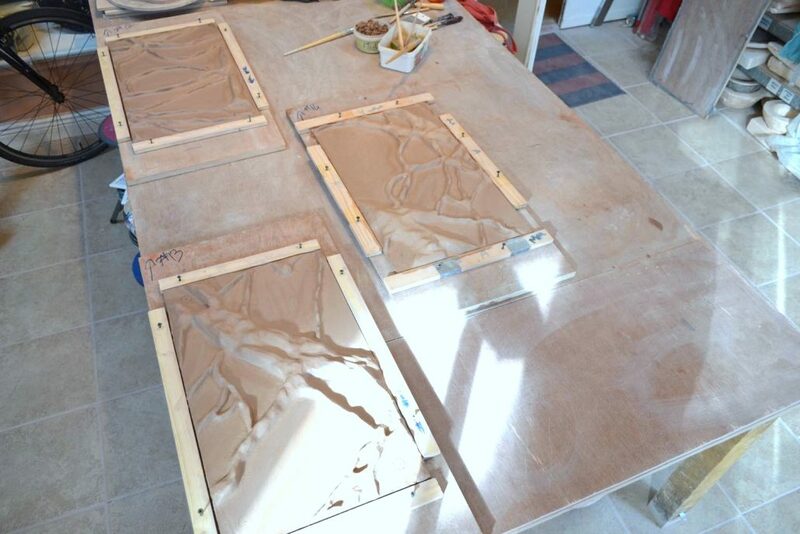 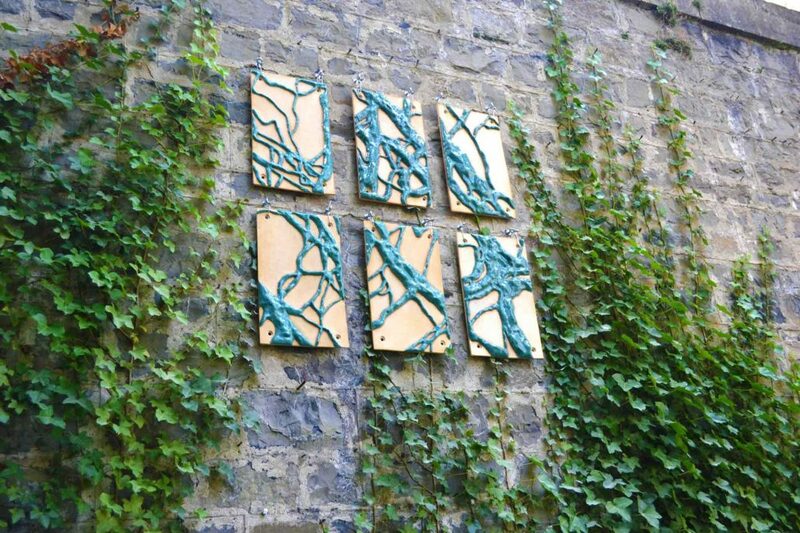 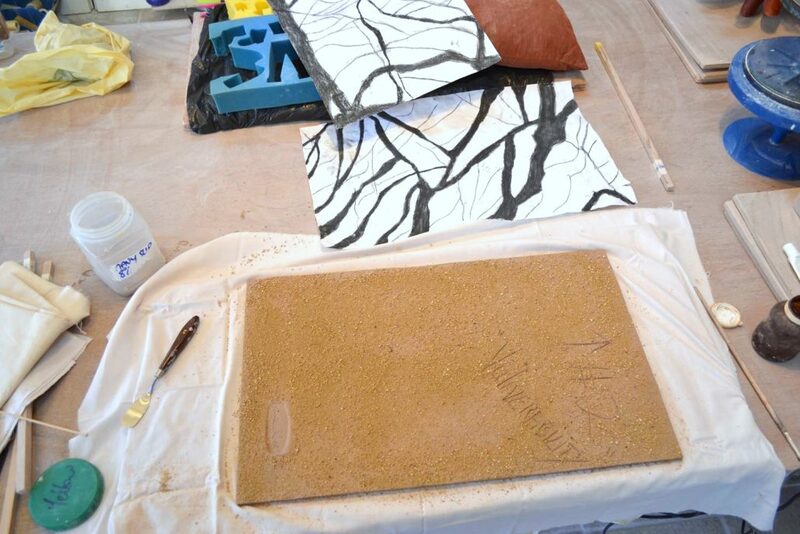 The inspiration for these wall panels comes from a photograph I took of trees at dusk in the Phoenix Park. Thinking about these dark trees has lead me to a greater awareness of reoccurring branching patterns in nature – whether in blood vessels, river deltas or nerve synapses – once again nature’s symmetry of design is breath-taking. 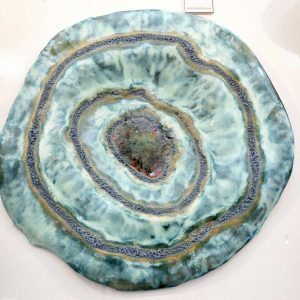 Vulnerability is constructed using a highly grogged crank clay body with paper additions and was high fired in an electric kiln to 1260°C (Cone 8). 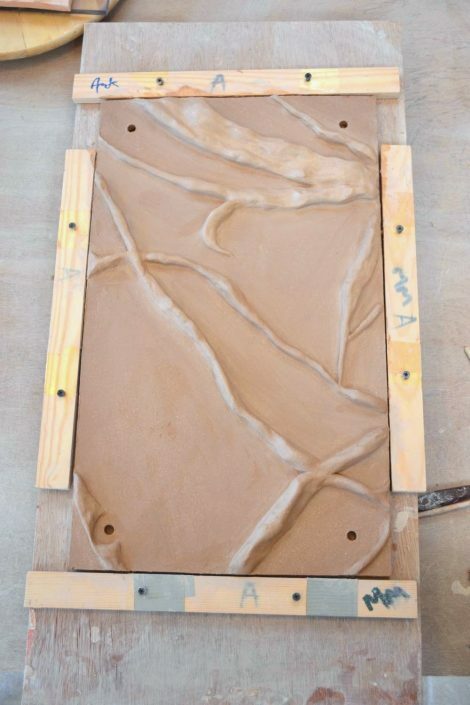 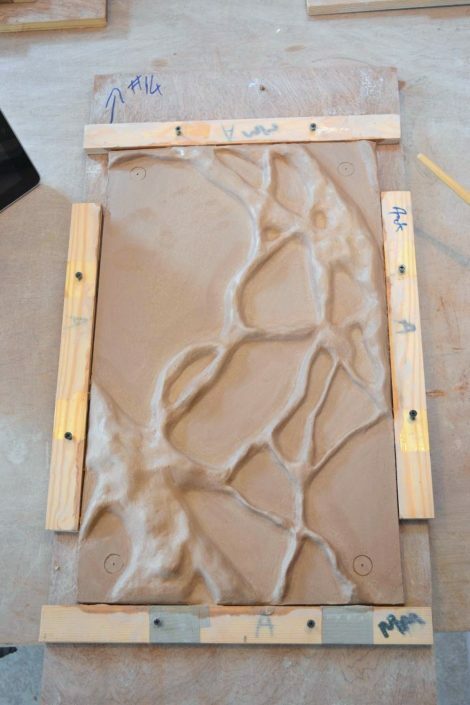 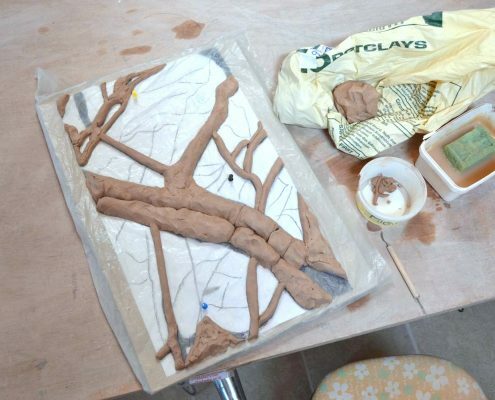 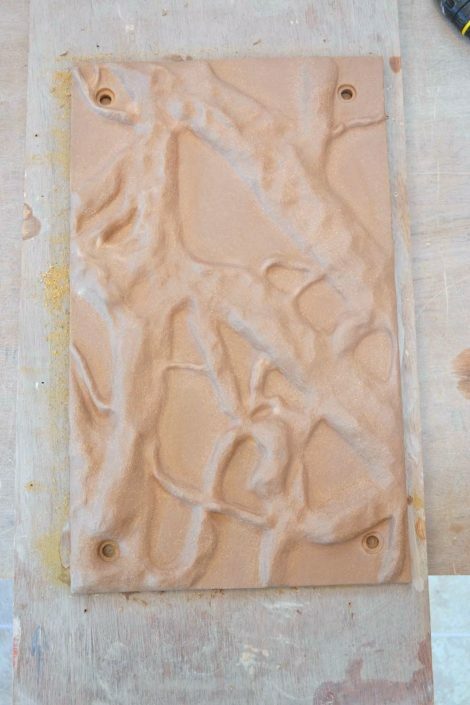 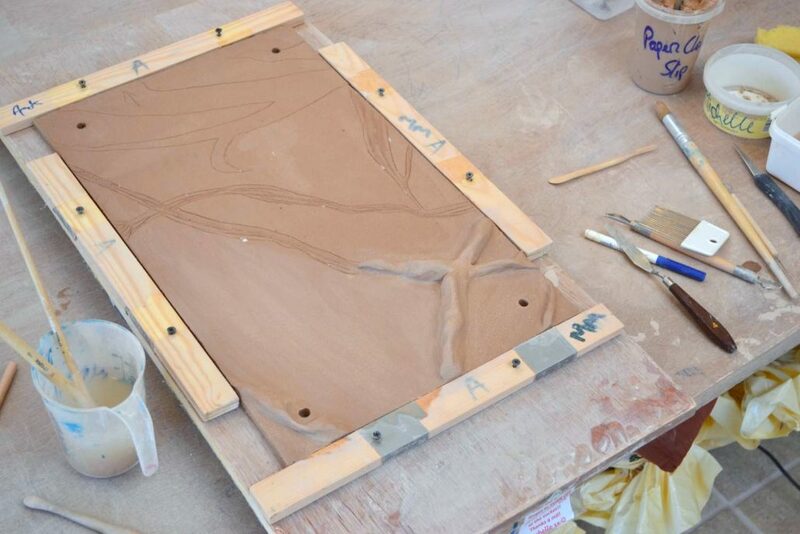 The branches on the panels were applied in relief and were hand sculpted and modelled so that the ‘life’ in the trees is captured and preserved in the clay. Each wall piece is completely unique. 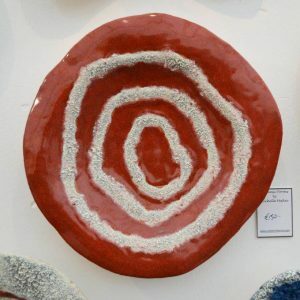 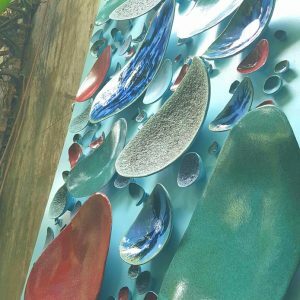 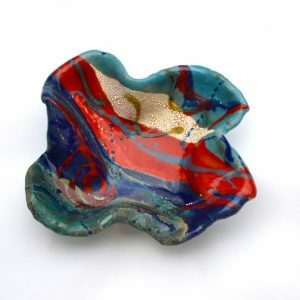 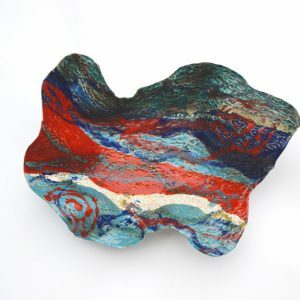 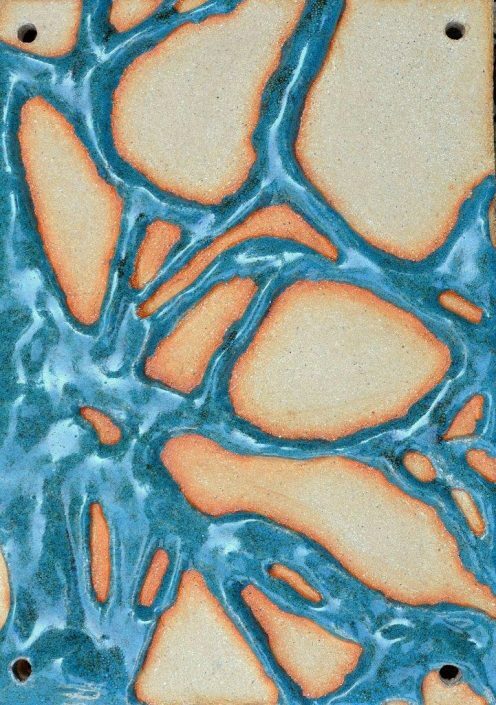 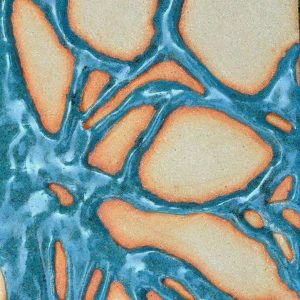 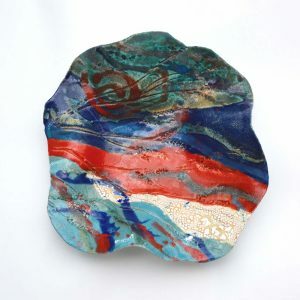 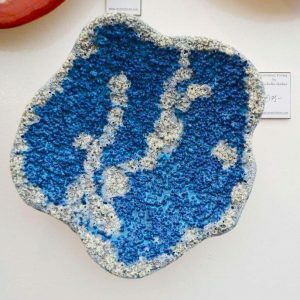 The turquoise reactive gloss glaze is one I developed myself; it combines rutile and iron spangles – giving it an iridescent quality in certain light as well as black speckles.